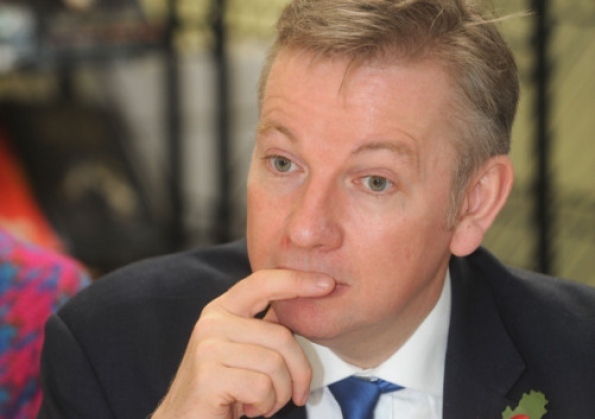 One would expect a right-wing Tory like education secretary Michael Gove to be pretty diligent on how he spends taxpayers cash. You wouldn’t expect him to spray public money around without Treasury approval and then tell auditors to get lost if they pick him up on it. This is exactly what he has done by handing out extra cash to his beloved school academies so they can buy staff redundos with extra payments without bothering to get it cleared by the Treasury. And when this was rightly picked up by the National Audit Office – the independent Whitehall body that scrutinises taxpayers’ cash – he has had the cheek to demand that the NAO and the Treasury go away and forget it. The row is revealed by me in a piece for Exaro News (http://www.exaronews.com ) this month after the NAO took the decision to qualify the £6.1 billion accounts of the quango that funds academy schools ( now merged into a wider body ) after it found 14 cases of excess severance payments, totalling just under £230,000 at nine academies. This may not sound much but it only found out about them after checking accounts of 135 academics – just eight percent of them. The other 92 per cent of academy accounts were never scrutinised by the quango. If this figure were applied pro rata the number of excessive unapproved redundo cash would top nearly £3m. Now this may be good news for the people involved but it seems to me like a repeat performance of what happened in the Thatcher era where millions of pounds of taxpayers money were paid out in early retirements just when cash was short. The result was worse as many of these people are probably still claiming pensions now. Don’t get me wrong I am not against people getting a good redundo deal ( I got one myself in the private sector) but I do think that where public money is concerned the deal should be scrutinised by the Treasury first. Otherwise every pound paid out on top of normal redundo is being taken out of paying for kids education. This conveniently leaves out the fact that these schools are responsible to the directly elected local authorities, academy schools are responsible to unelected civil servants. My solution is simple. If Michael Gove wants to spray taxpayers’ money around in this way, he should pay for it himself. After all the excellent new search the money website (http://SearchTheMoney.com/) reveals he has received £462,000 in donations, £304,000 from one private equity firm). So he could raise the money for this excessive payments and leave the taxpayer to fund what it should do-public education. This entry was posted in education, Uncategorized, Whitehall and tagged academy schools, michael gove, redundancy cash, wasting taxpayers money. Bookmark the permalink.